When Google acquired Waze back in 2013, a lot of users thought it meant lights out for the Israel-based mapping service. But that hasn’t been the case. Instead of being entirely folded in, Waze continues to exist alongside Google Maps. On the one hand, the two apps share a lot of the same behind-the-scenes mapping data How Does Google Maps Work? How Does Google Maps Work? Google Maps is used by millions of people every day and you might be one of them, but how does it actually work and how does Google maintain its accuracy so well? Read More , so they’re both more than adequate for the job. That being said, they do serve different audiences, and the one that you prefer will come down to what kind of navigation experience you’re looking for. 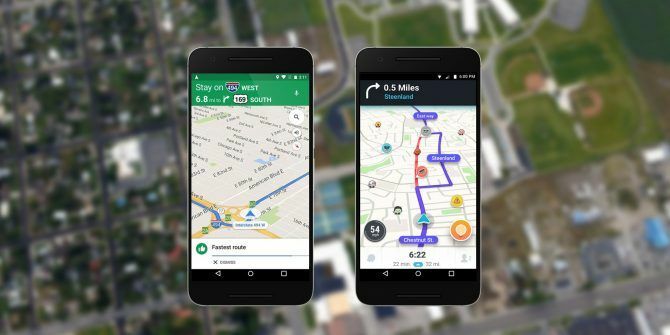 Of all the navigation apps currently available, Google Maps is the cleanest and most professional Google Maps on Android: Everything You Need to Know Google Maps on Android: Everything You Need to Know Does Google Maps on your Android device feel a bit daunting? We've got you covered. Here's everything you need to know about using Google Maps on Android. Read More . The interface is minimal, routes are easy to set up and navigate, and it’s quite intuitive to use. Because of this, I find it excellent for traveling to new and unknown destinations — no distractions. This tight focus has a secondary benefit: Google Maps tends to perform better on older devices. I still experience some lag and choppiness on my weak Moto E and Galaxy S3 Mini, but it’s nowhere near as bad as what I’ve experienced on other apps. And for city-dwellers, Google Maps is awesome because it provides routes and estimates for walking, biking, and public transportation. Waze is a love-it-or-hate-it kind of app. Whereas Google Maps is all about being bland and serviceable for all people, Waze comes with a lot of personality and quirkiness. It’s more “fun” with unnecessary features, but that comes with a price: readability and performance. When using Waze, you can input what kind of vehicle you’re driving (e.g. Private or Taxi), your preferred gas type (e.g. Regular, Midgrade, Premium, Diesel), and whether you want to avoid toll roads. The gas type will come into play later (see “Convenience and Special Features” below). Waze is also a driving-only app — no estimates for walking, biking, or public transportation like Google Maps. One of Waze’s biggest selling points is its real-time traffic reports and routing updates. Users, like you and me, can submit live reports of accidents, construction zones, hazards such as potholes, etc. And based on these reports, Waze will automatically update your route to avoid them. Yes, Google Maps also does something similar, but Waze is a lot more aggressive. Whereas Google Maps will try to take the fastest path using main roads, Waze won’t hesitate to take you through back routes. As such, driving with Waze can be a bit hectic, but it often saves more time than Google Maps. Waze updates also tend to be “more real-time” than Google because Waze uses crowdsourced submissions while Google automates based on data transmitted from active Google Maps users, and there can be a delay while Google crunches data to arrive at conclusions. Google Maps doesn’t reroute often but does present alerts as traffic conditions change during transit. For example, when I was driving on a major highway the other day, I received a pop-up notification for an upcoming traffic jam. These notifications can be dismissed with a simple tap. For me, the only time Google Maps automatically reroutes is when I drive off of the current route. As soon as I do, Google Maps recalculates. One thing to note is that Google Maps does provide alternative routes as you drive. Most of the time, these routes are marked as “X minutes slower,” but if a faster route is found, you’ll get a pop-up asking if you want to switch. A manual tap is needed to make the switch. One feature I love about Google Maps is the ability to add one or more pit stops between your current location and your final destination. You can also plan trips ahead of time, either by setting a “Depart By” time or an “Arrive At” time. These two features are great for complex, lengthy trips. Other nifty features include changing the view from top-down to 3D virtual buildings (useful for city navigation), navigating buildings with an indoor view (useful for shopping malls), and sending routes from PC to phone. 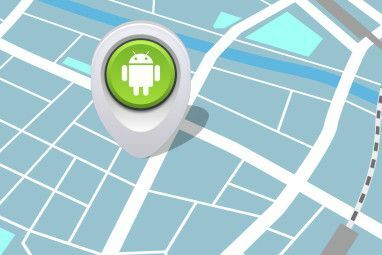 Learn more about these Google Maps tricks for Android 16 Google Maps for Android Tricks That'll Change How You Navigate 16 Google Maps for Android Tricks That'll Change How You Navigate Go further with Google Maps for Android with these tricks for newcomers and advanced users alike. You'll be navigating more swiftly than ever. Read More . Waze offers a lot more than Google Maps, including its most controversial feature: avoiding police speed traps Police Officers Think Waze is Dangerous. Are They Right? Police Officers Think Waze is Dangerous. Are They Right? Waze can "be misused by those with criminal intent to endanger police officers and the community", claims a letter from a police chief to Google. Read More . Users can report the locations of police, prompting other Waze users in those areas to slow down. Users can also report the locations of speed cameras and red light cameras. Another useful feature is Planned Drives, which tells you when you need to depart in order to arrive at a destination by a certain time. It gets even better: Waze can sync with Calendar and Facebook events and automatically let you know when you need to leave. 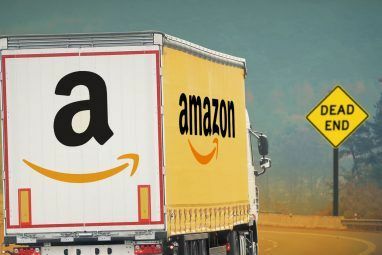 Other notable features include integration with Spotify (control music playback directly in Waze), speed alerts when driving too fast, recommendations for parking lots near your destination, and best-price gas stations along your route. That last one is a huge boon for longer trips! If there’s one area where Waze absolutely excels beyond Google Maps, it’s socialization. Since most of Waze’s data is crowdsourced, it’s only natural that users feel like they’re working together — but if you spot other Wazers on your map, you can beep them (sound alert) or send them messages (text). You can add friends, too. Doing so let’s you see each other’s locations and estimated arrival times when going to the same destination. Friends can be imported from Facebook or your contacts. Want some privacy? Use Invisible Mode to appear offline, although you can’t submit reports while invisible. Other social features include a Scoreboard (the more active you are, the more influence you have with reports) and Teams (tap into local stations to receive live updates and reports). The biggest difference between Google Maps and Waze is that Google Maps doesn’t have any of the social features. No chatting, no beeping, no friending, no scoreboards. It’s just you, Google, and the road ahead of you. However, Google does offer something that Waze doesn’t: excellent local business information. Google Maps search results are more accurate and more comprehensive. You get ratings, reviews, hours of operation, hours of activity, contact information, photos, ability to reserve a table, and more. The Bottom Line: What Do You Need? For daily commutes, use Waze. If you like social features, use Waze. If you trust user reports and want real-time updates, use Waze. If you’re going somewhere new or if you can’t handle Waze’s cluttered interface, use Google Maps. When researching local businesses, use Google Maps. Otherwise, go with the one that has more intriguing convenience features. Or maybe you’ve gotten this far and you don’t like either one! In that case, I’d point you to our collection of the best maps and navigation apps What's the Best Maps and Navigation App for Android? What's the Best Maps and Navigation App for Android? Using the rights maps and navigation app can mean the difference between making it to your appointment on time or being late -- so we examine the best of them for you! Read More and recommend that you try one of those alternatives. Which way do you lean: Waze or Google Maps? Which features do you consider essential and which are unnecessary? Let us know in a comment below! Explore more about: Google Maps, Waze. There have been times when I've driven 25-30 MPH trying to get Google navigation to keep up with me. Still, I will hear, "Turn right at..." as I pass through the intersection at which I was told to make a turn. Sometimes it will take a while before it reroutes, or even starts up at the correct point. Waze has definitely worked better for me, but it drains my phone battery even when it's charging while in use. a really important difference between Waze and Google Maps (and TomTom) is that of the three only Google maps fails to show your speed and fails to warn you when you've exceeded the speed limit. Now that UK police can issue you a fine is you are as little as 1 MPH over the speed limit, this is a HUGE issue for me, especially where I live, where they will, every time. Waze also indicates average speed camera zones along the left of the screen so you can always see when you're in one and when you're getting to the end. Waze isn't perfect, however the speed warning is for me an essential and non-negotiable aspect of a navigation app. I prefer the voice options in Waze too, and it's nice to NOT hear Google Maps' south-eastern English female voice crucifying Scottish place and street names ? the ? at the end was a smiley. I can't believe that no one mentions some simple differences. I love Goode Maps over Waze for one thing: Lane guidance! It always shows you which lane to stay in, this is so useful. I also like the fact (mentioned in article) that it will show you different routes along the way and that this will take, for example, 3 minutes longer. It's very helpful. On the other hand, Maps is missing one great feature from Waze: Speed limits. I'm so used to that, and I can't understand why on Earth Google Maps hasn't implemented this feature yet. I love waze but...... it doesn't work with Android Auto. It properly starts the first time after the installation, then it blocks Android Auto with a dark screen on the display of the car. As far as H know, Waze affliated by Google. Why Google doesn't connect them together? I’m a wazer. Google maps ok but the speed trap thing plus gas station prices win out for now. I would like Waze to have the ability to route based on car-pool lane vs. regular traffic lanes. The carpool lane may be moving, but Waze re-routes around a “jam” in the regular lanes, resulting in a less efficient route for carpoolers. The next trick for crowd-sourced traffic applications is to collect data based on which lane the reporter is driving in … and let users choose to have Waze route them via “solo driver” routes and “car-pool” routes. Waze has actually started offering High-occupancy Lane (Carpool) guidance. Good suggestion! Unfortunately both of them have problems in countries with language with a different character set (chinese, arabic, greek) because they have the names (cities, streets) in local language and no way to switch to only english (some names appear also in english when you zoom enough but most of them do not). Also for long trips in some countries where roaming data is expensive you need an offline app with pre-downloaded country maps in english (like HereMaps), you won't get traffic (except you go online with it) but you have navigation and some poi (if your car doesn't). I prefer Google Maps, my husband prefers WAZE. My input is that I think WAZE takes the driver's eyes off the road way too much and I think it's more of a hazard to be using a social app while driving. In theory, it sounds cool, but it only takes a second of inattention to create an accident. Waze has something Google Maps doesn't: you can choose the language for spoken directions. living in a densly populated western part of the Netherlands, waze is the only option if you want to avoid traffic jams. I can't understand the remarks of a difficult interface. For me it is all very clear and to the point but I agree it is packing a lot. Besides the real-time traffic, danger reports ( if for instance cars (and people) are on the shoulder), accidents, police speedtraps etc it also has things like sending an ETA to my SO that she can see where I am and knows when to expect me. All these things I have grown to expect in a nav app and miss them in any other nav app, especially google maps which seems to be made for people who can only manage the bare minimum of functionality. I use it for all my short trips but also for my trips deep in Europe. I thought I'd give Waze a try while driving in Sydney a few weeks ago. Wasn't impressed with the fact that geofencing is enabled by default unless I switched to Sleep mode. And if I forgot, my battery goes flat. Little bit of a different story for us UK drivers. I have an older car which doesn't have built in GPS and have to rely on my phone for navigation. We UK drivers are now strictly not allowed to even touch our mobile phones while driving. This poses a bit of a problem when popups popup or the map app gives you the choice to make a decision in the middle of a journey. I thought Waze would be integrated into Google Maps by now. I like Waze best, but sometimes will run both at the same time to see what they do. I've experienced Waze being a little late telling me where to turn in some cities. And Google seems more detailed in explaining a turn or exit. I would like to see an "Easiest drive" route, as well as of fastest or shortest. With Waze, it often has me turning left on a busy street, when I could go a block over and turn left using a light. I have heard others complain about this. I don't know when it was added, but if you go into Navigation there is now a toggle to "Reduce difficult intersections". Not sure why it is not automatically checked, but it is now. I choose Waze for daily commute because it considers even the tiniest of side streets as well as large main roads. But still use Google maps for driving to and picking up family. I live near toll roads that I never use. Waze allows you to avoid them at all times, while Google Maps forces you to click the AVOID TOLLS button every single time. (Often, Google will suggest a $2 toll route to save 1 minute). If they'd make the avoid option sticky, I'd use Google more often. Google Maps now allow you to avoid tolls permanently in their latest update on Android. It may be different in major US cities, but in my area Waze is infinitely better as an everyday tool since it has near instant (literally same day) information of temporary roadworks, reroutings and closures included. 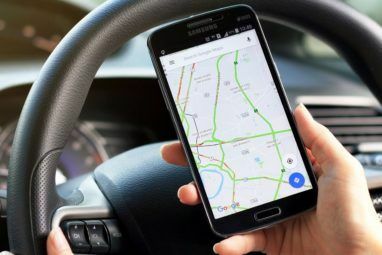 Part of the reason is that Waze maps are edited by local power users, while Google maps relies more on official sources, which introduces a lag. Is there a data usage difference? I took a 6 hour road trip recently. Going I used Google Maps and it used 24 megs of data. Coming back I used Waze and it used 10 megs.